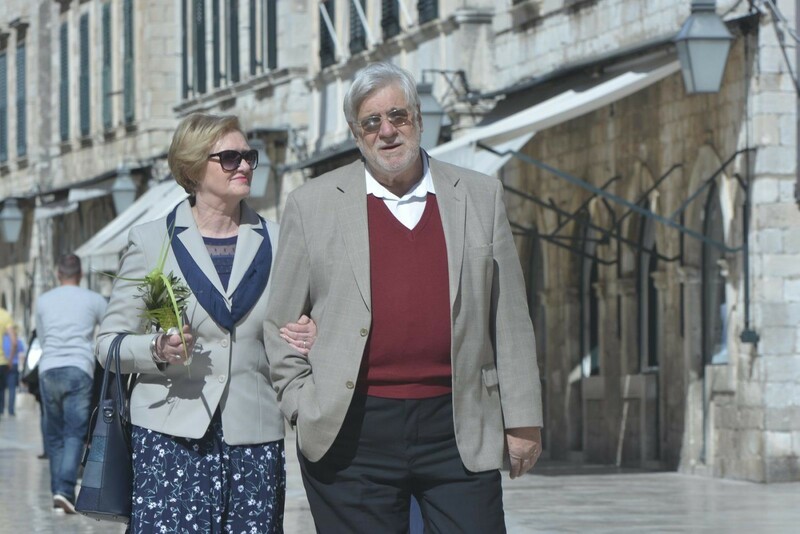 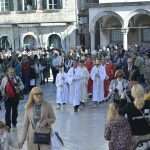 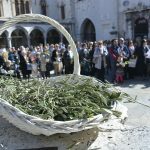 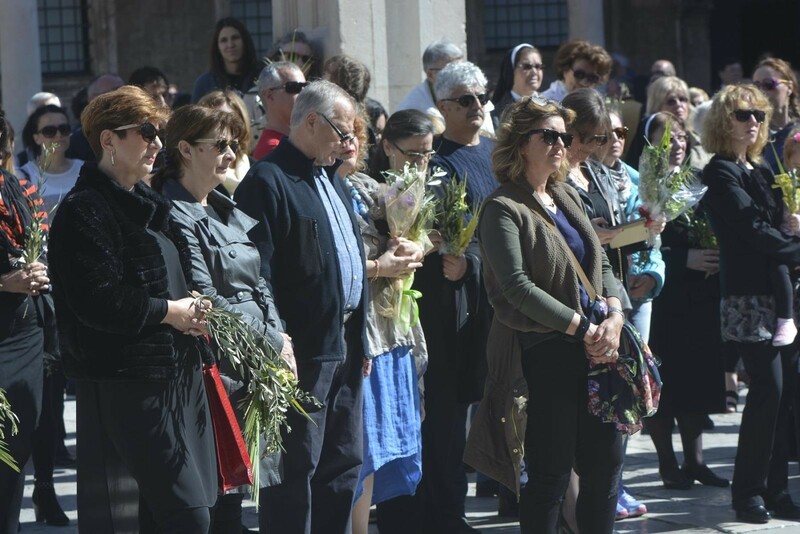 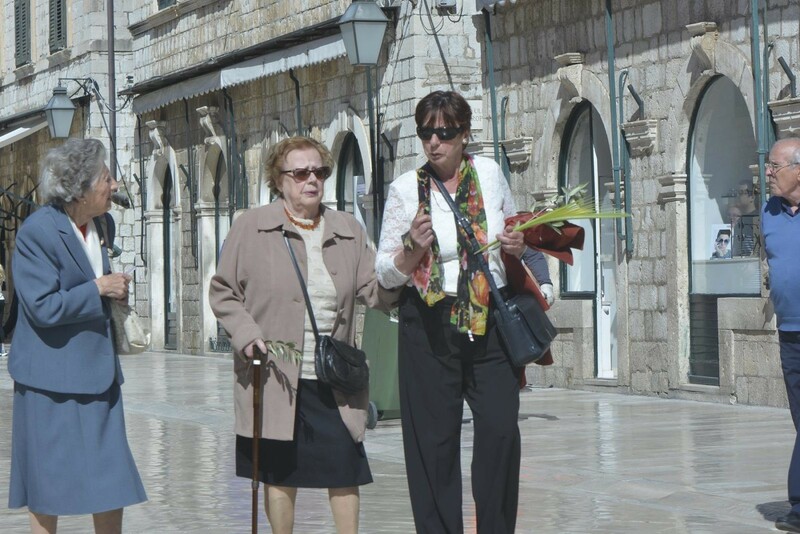 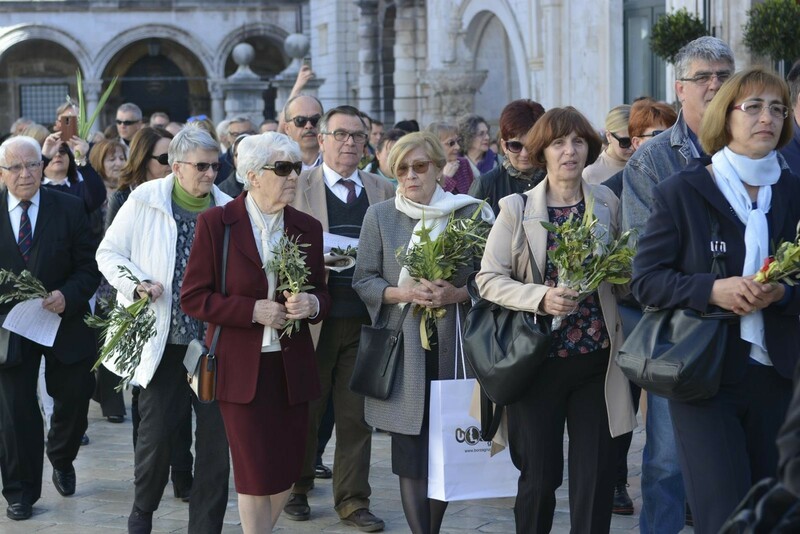 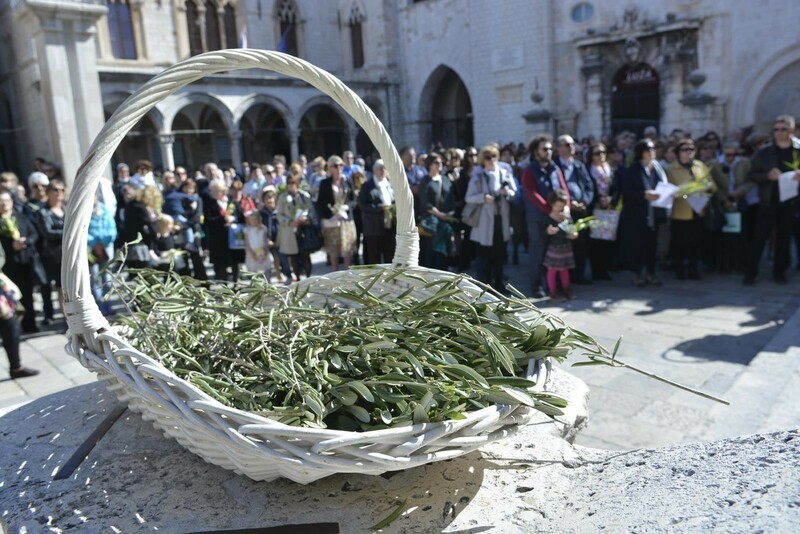 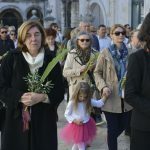 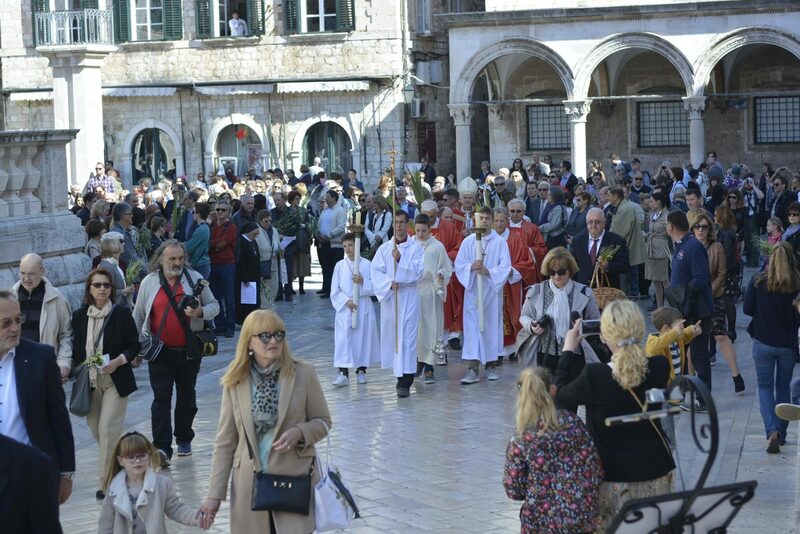 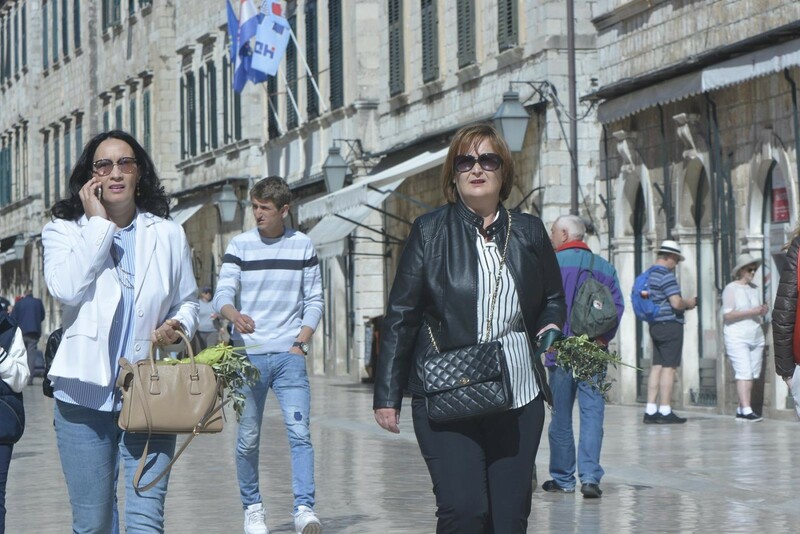 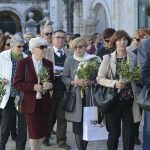 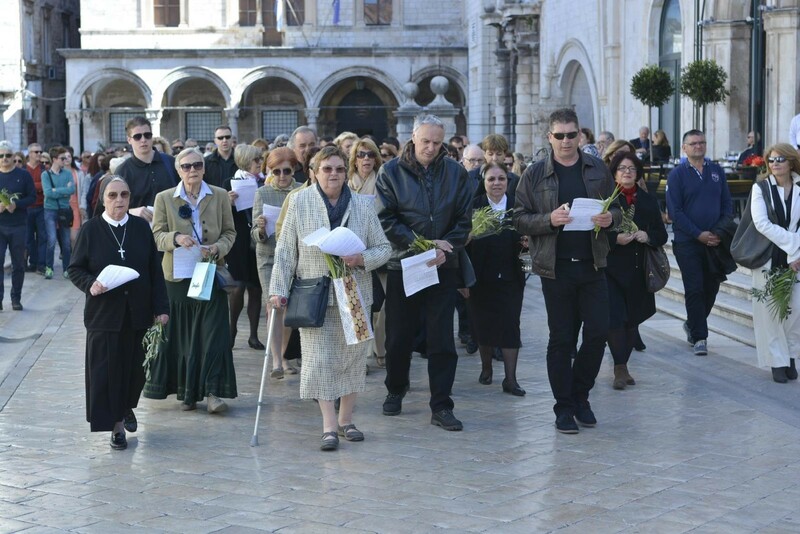 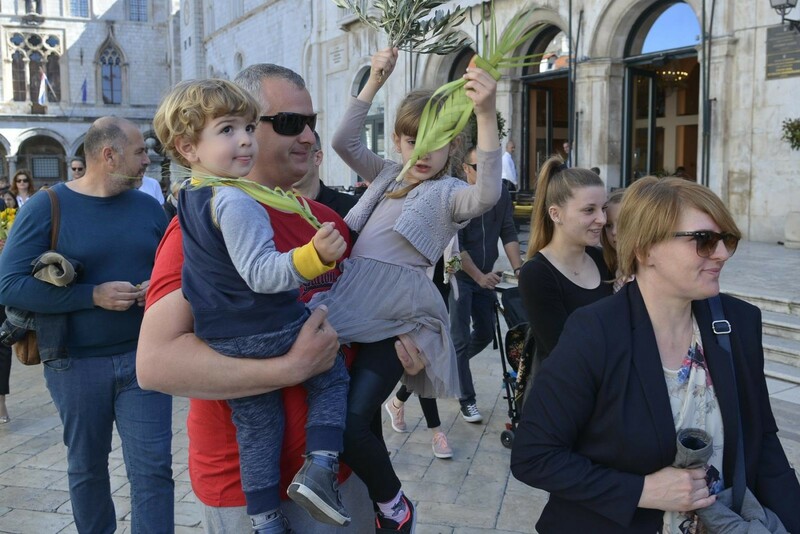 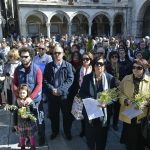 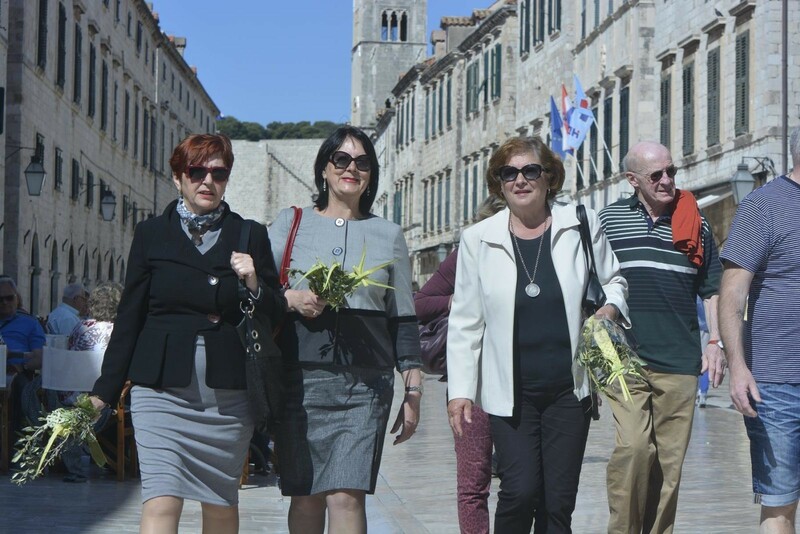 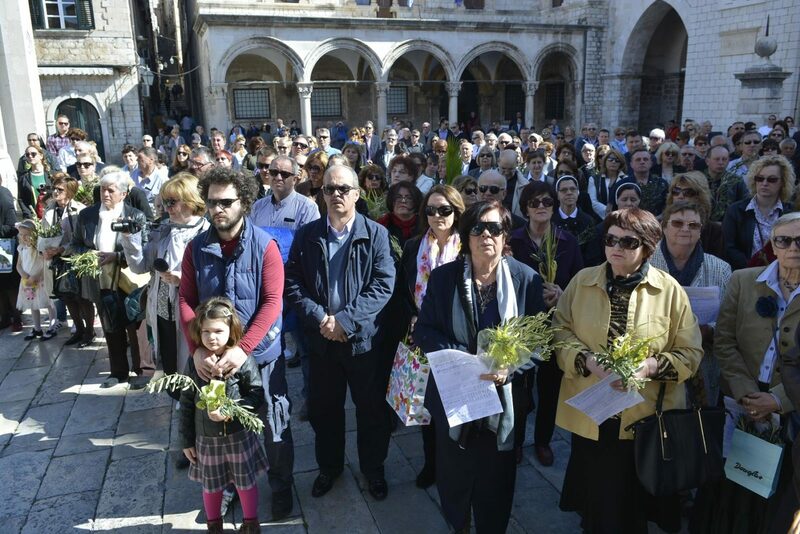 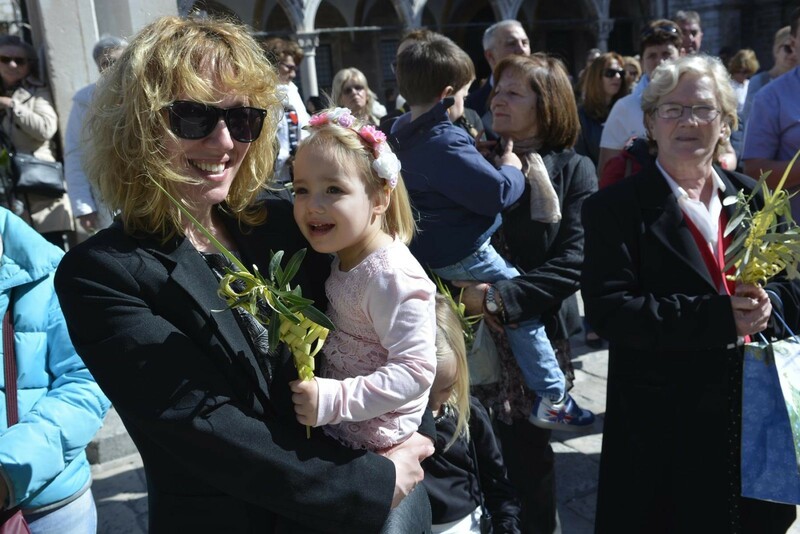 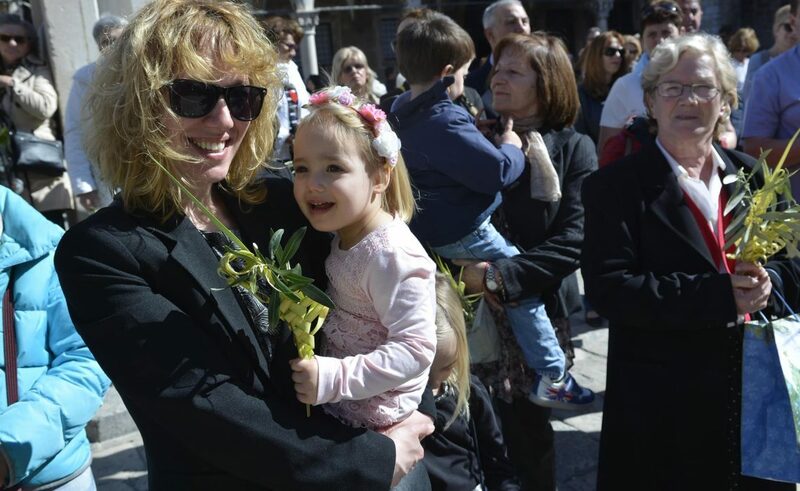 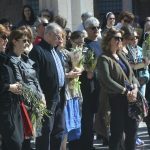 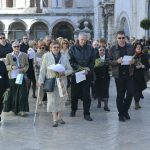 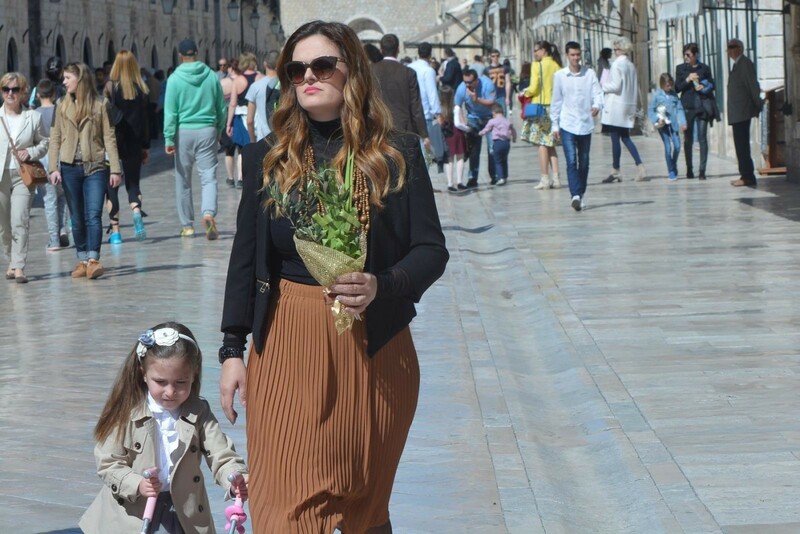 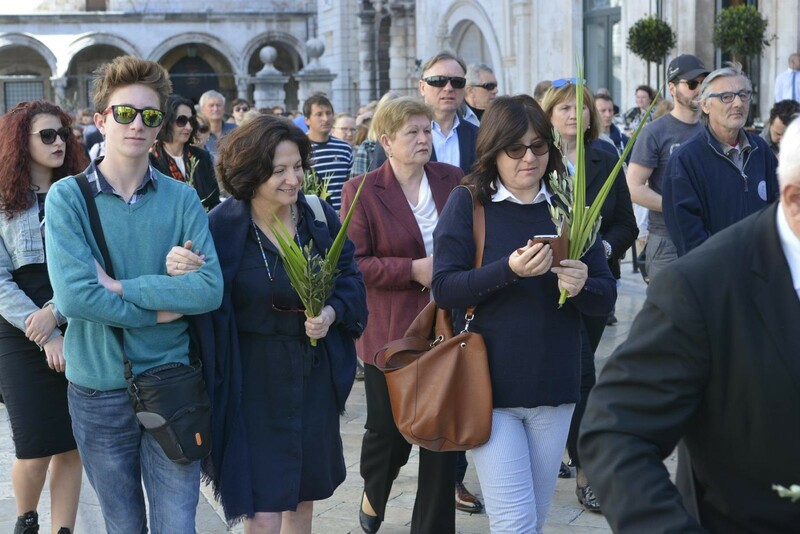 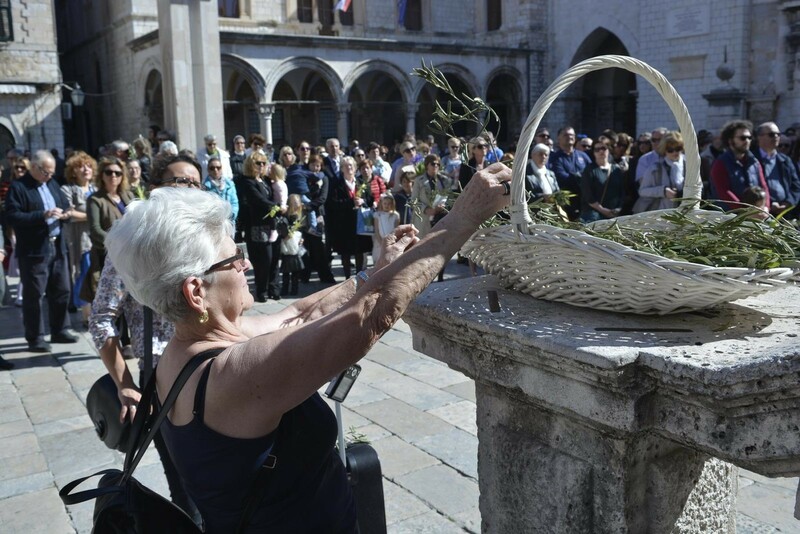 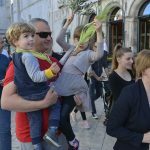 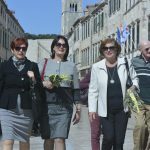 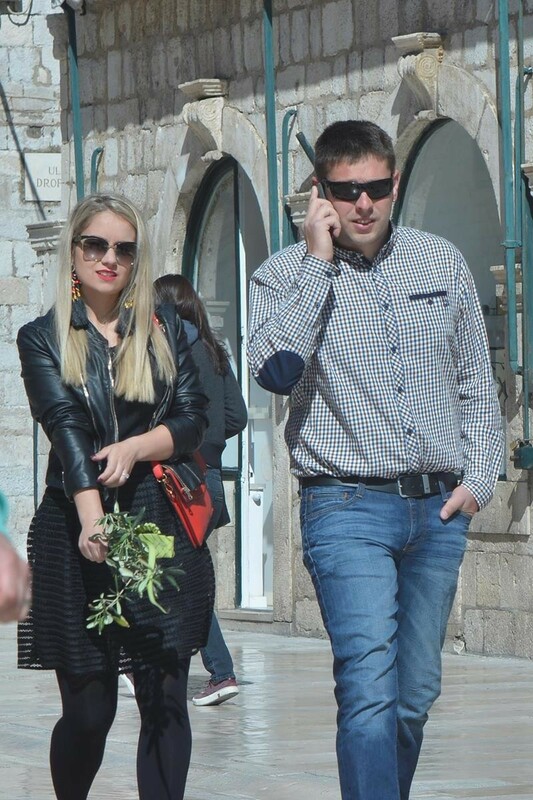 Dubrovnik’s citizens celebrated the feast of Palm Sunday at Stradun with the smiles, traditional blessing of the ‘pomice’ and olive branches, symbols of this important holiday. 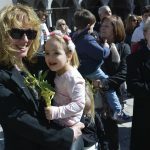 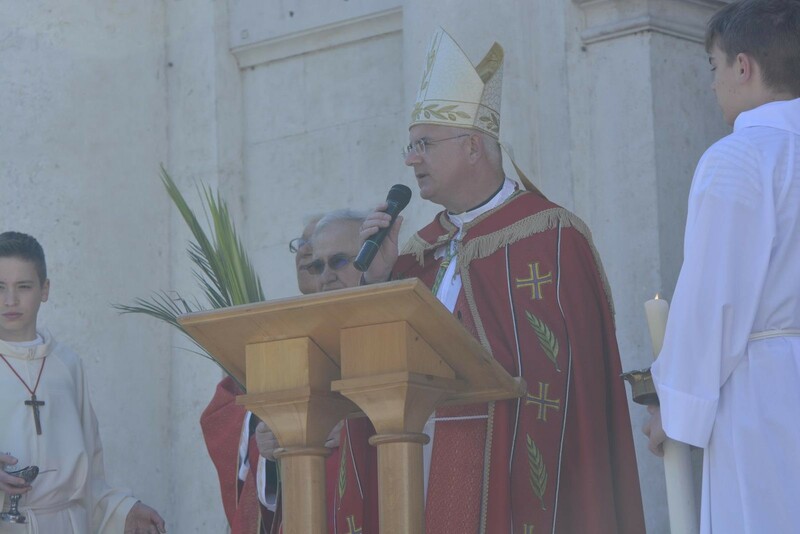 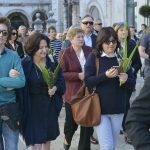 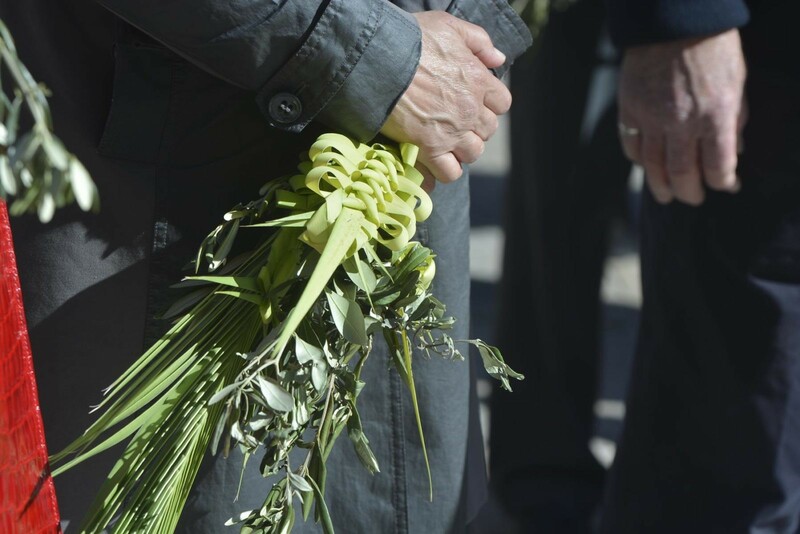 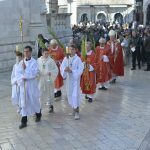 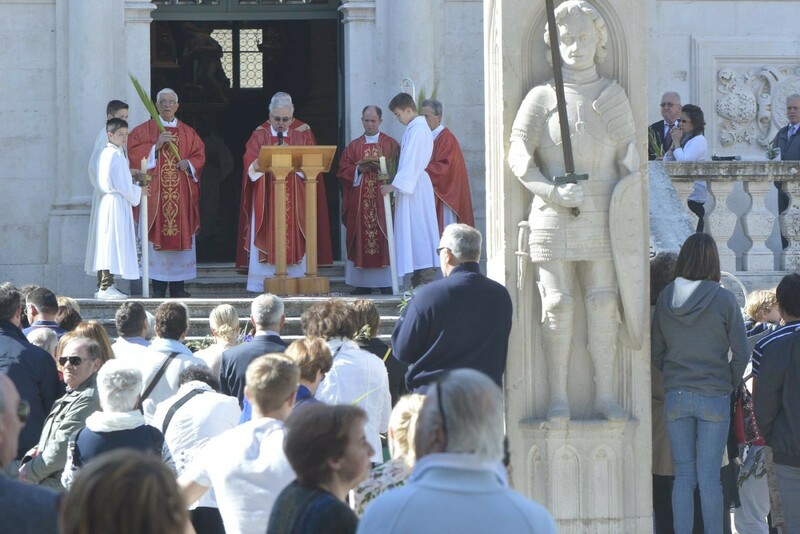 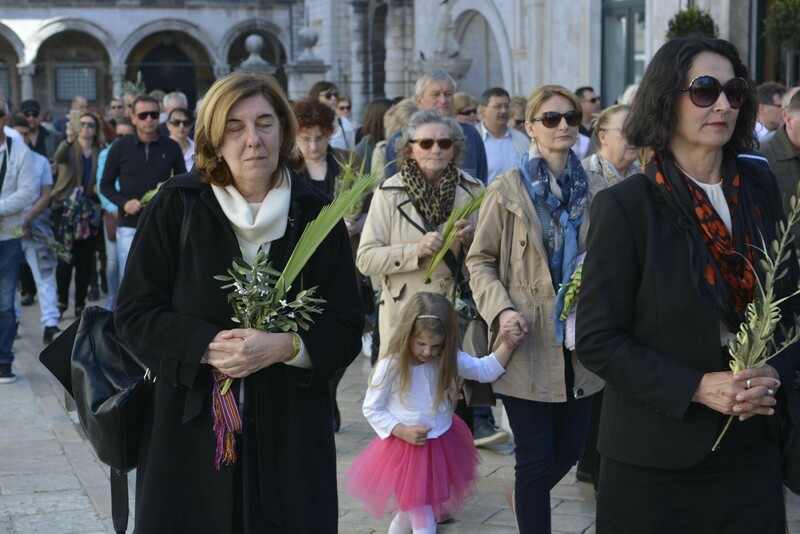 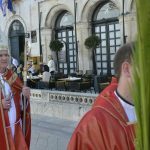 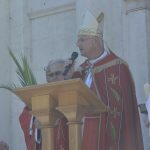 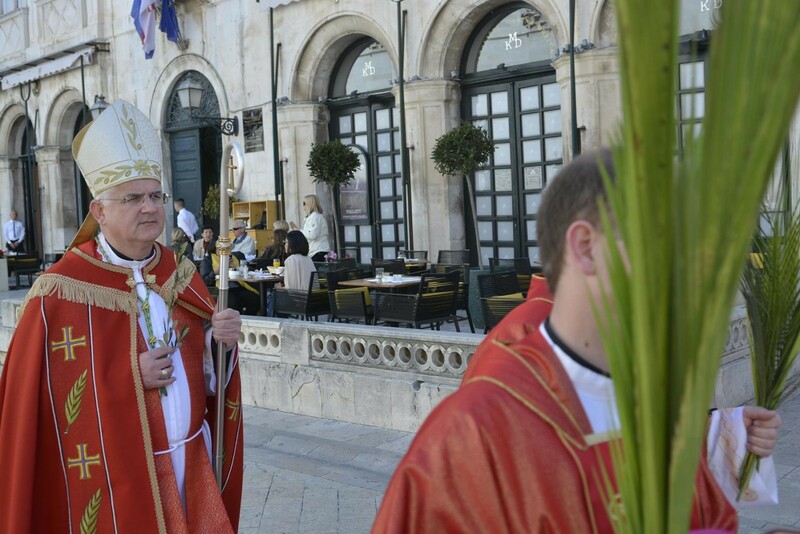 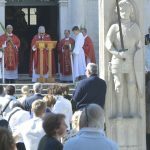 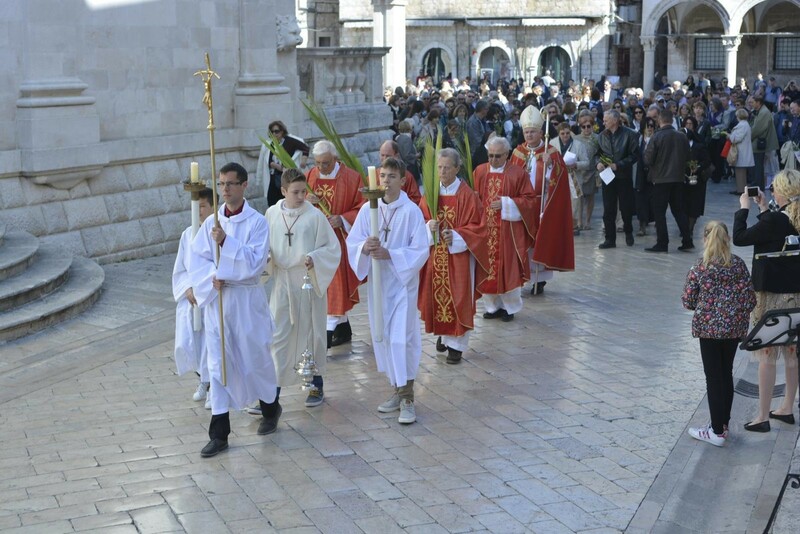 Palm Sunday in Dubrovnik is unthinkable without ‘pomica’ – plaited palm leaves, which together with an olive branch and a bunch of spring flowers are taken to church be blessed. 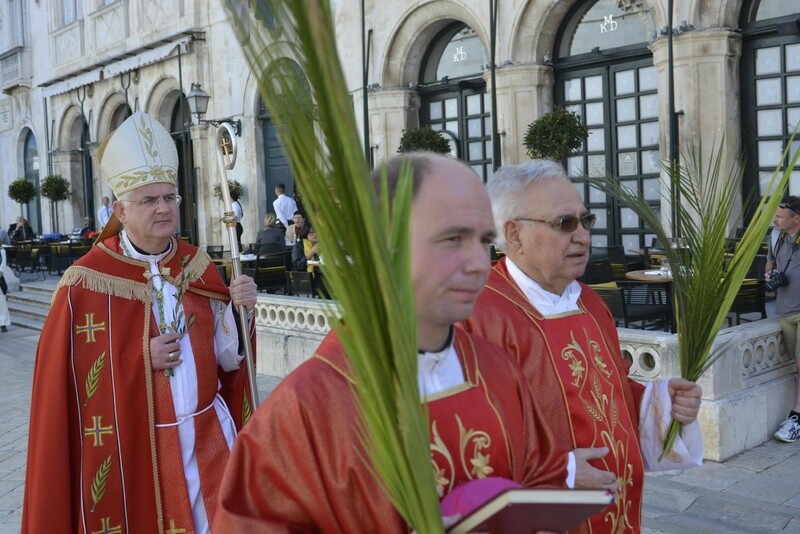 The tradition of plaiting palm leaves for pomica is specific to the Dubrovnik area and does not exist anywhere else. 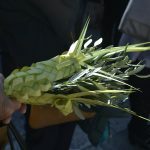 Plaiting requires skill, practice and patience. 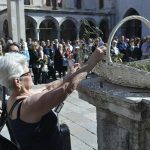 In days gone by when the palm tree was a rarity in Dubrovnik, people never used the palms from the inside at the heart of the tree, because it would damage the tree. 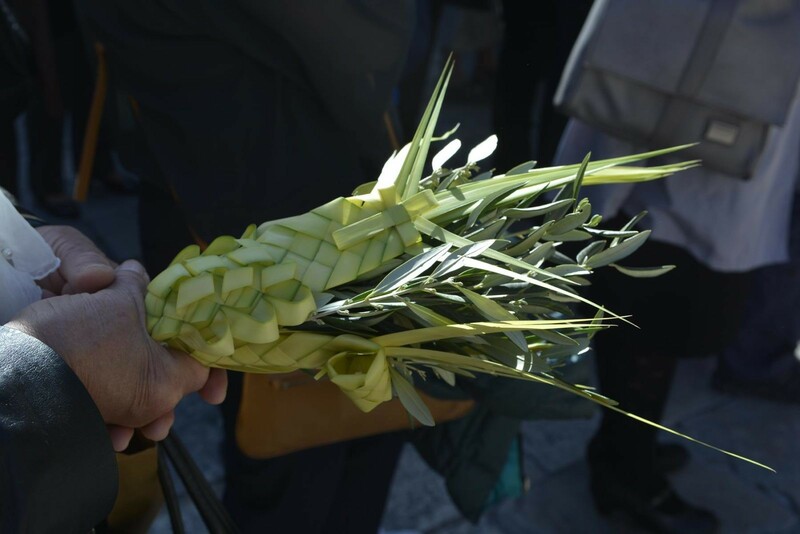 It was only in the last century when palm trees became common in the region that the interior light green palm leaves were used, but fortunately this practice was soon abandoned in favor of traditional practice. 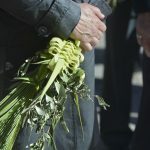 The palm tree even at 50 years old flowers profusely and so it became a symbol of immortality, in addition to being a symbol of victory and renewals. After the blessing of the palms they are usually placed at the front of a crucifix or holy pictures, believing that the blessed branches bring health, happiness and prosperity. 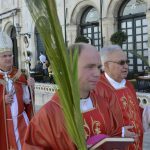 The following year, when the church has new palm branches, the old ones are set alight as they are never to be thrown away as rubbish.